Skin Tightening laser invigorate the skin as well as the aponeurotic sheath around the muscles (SMAS). Hence deeper and better results are expected which are more sustainable. .These lasers work by warming the dermis and stimulating collagen growth. This process leaves the outer layers of skin intact, and has no downtime associated with it. At Dr. Nivedita Dadu’s clinic we use a unique radiofrequency (RF) to safely heat the deep layers of the patient’s skin, while cooling the surface to prevent any damage during the procedure. Body’s natural skin regeneration process stimulates deep heating, which helps in tightening skin’s existing collagen while helping form new collagen. Over time, sagging, sloppy skin is replaced with firmer, tighter skin. There will also be a significant improvement in the tone and texture of the patient’s skin, giving him or her more youthful complexion. Dr. Dadu is not only a well-trained medical doctor who knows symptoms and treatments, she is a kind and loving and spiritual human being. When coming to see her in the office I leave not only looking more beautiful due to her expert medical treatment but also I feel uplifted and beautiful within. She is a very good dermatologist and a superior human being. I advise you to visit her! You will be glad you did... both your facial tissues and your heart!! Have very good result of anti aging and results are really good so thanx u so much Dr dadu . Things which were not possible earlier, now they are becoming possible. Aging is inevitable and comes with its visible signs like wrinkles and fine lines. I heard about Dr. Nivedita Dadu practicing with Tixel laser and giving the effective results in return. I consulted her for my mother and she recommended the best. She informed us about the Tixel and its advantages. My mother is extremely happy after the treatment. Thank you doctor Dadu. 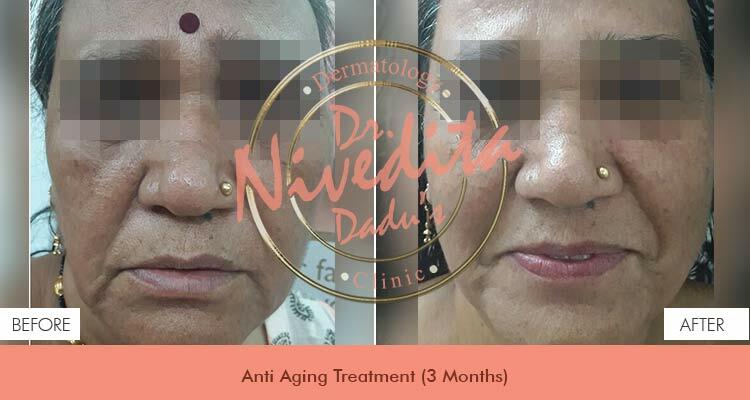 Dr. Nivedita Dadu is an experienced dermatologist i have ever come across. I was facing the problem of acne. She suggested and recommended me the best treatment after the consultation. She is very humble and kind. After being in contact with doctor dadu, all i got to know that she is the perfect combination of knowledge and expertise. Thank you Doctor! Best dermatologist in Delhi I have ever met. For her, perfection in work matters a lot. My mom took treatment from Dr. Nivedita Dadu and she is completely satisfied. 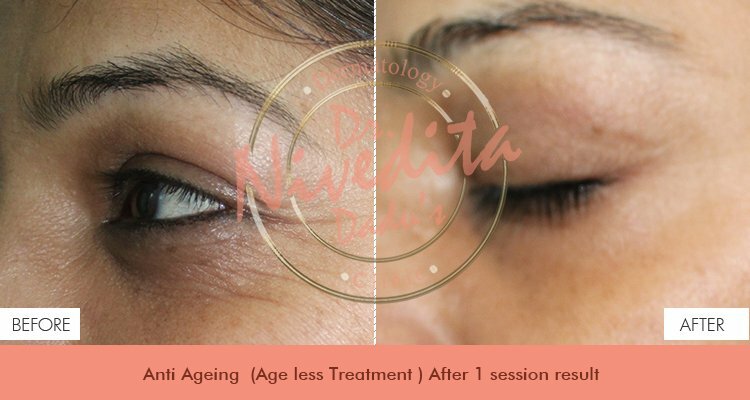 I consulted Dr Nivedita for my skin concerns after I saw visible results on my skin. She understood my apprehension for invasive antiaging treatments and suggested more gentle, healthier and less aggressive treatments which I can see are working for my skin. Hi, What a pleasant surprise to see that this Anti Aging Laser actually works! I've been using this for 6 months and have been very pleased with the results that I see in the mirror.